Happy Holidays! 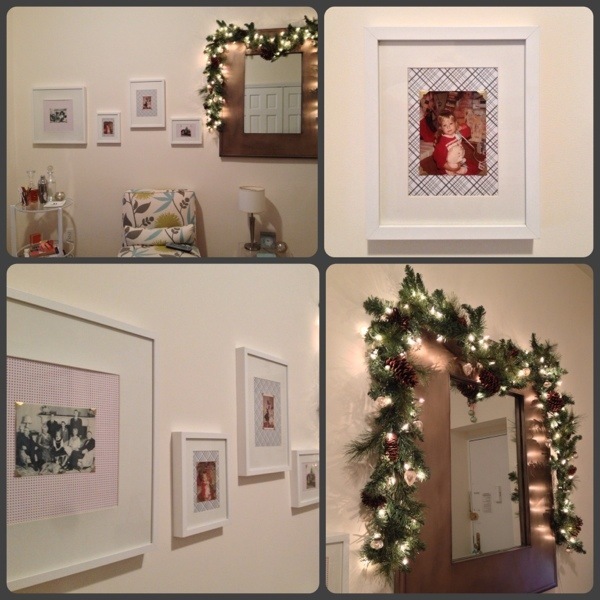 Here with a simple and easy holiday photo gallery and festive garland DIY project–perfect for any home. I am a huge fan of old, family photos and like to think of my framed photos as a rotating gallery. The holidays are a great time to showcase old, family holiday cards and favorite Christmas-morning memories (yes, that is me above.) Instead of just keeping my photos in an album, I like to rotate them throughout the year. I had been on the fence about getting a Christmas tree and, finally, opted instead for a festive, holiday garland. I picked up a pre-lit garland with pinecones attached from Michael’s, attached it to my large mirror, and added in a few vintage ornaments. A fabulous twist on a holiday classic that works in my small space. 1. Cut scrapbook paper to fit behind photo mat. The nice thing is that it doesn’t have to be perfect, just leave about an inch or so around so you can tape it to the mat. 2. Secure the paper to the mat with scotch tape on all sides. 3. Apply the decorative photo corners to the edges of the photo. 4. 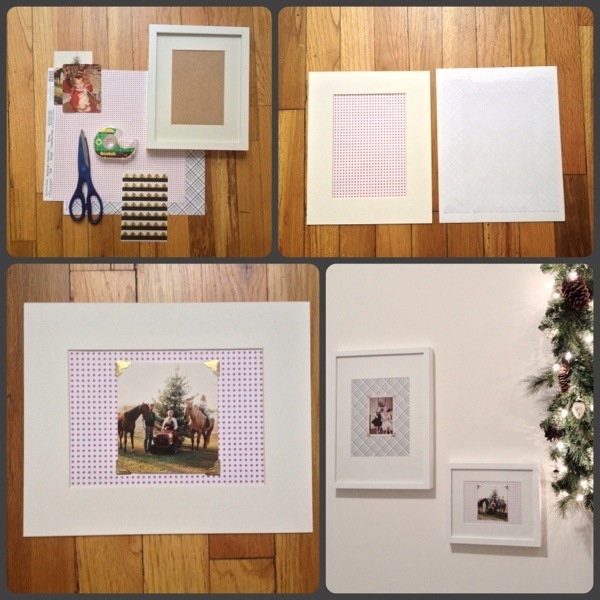 Flip over the mat and center the photo on the scrapbook paper and secure photo corners to paper. 5. Assemble mat in frame and hang as usual!